To play the game in full screen mode visit this link. Additionally, ff you want your own copy of Tic Tac Toe you can download your copy here. 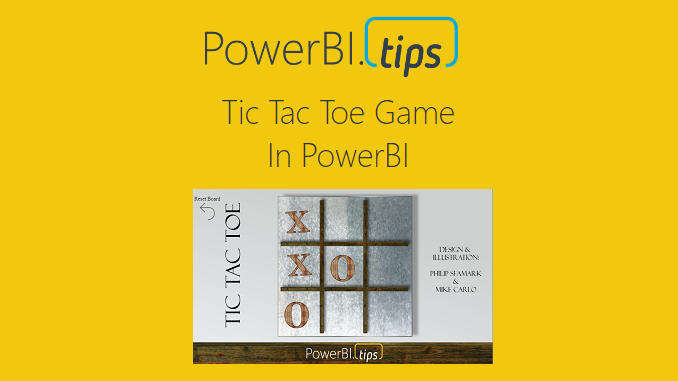 If you like the content generated from PowerBI.Tips please follow me on all the social outlets. Stay up to date on all the latest features, free tutorials and downloads. Subscribe to me on YouTube. Or follow me on the social channels, Twitter and LinkedIn, where I will post all the announcements for new tutorials and content.